It's time for walkies! You've been let off your leash for 45 seconds in the park, so it's time to cram in all the dog business you can before it's time to go home. Use your super DOGFORCE powers to score as many points as you can - scare off birds, show the world how much you love it, and catch every ball and frisbee you can. 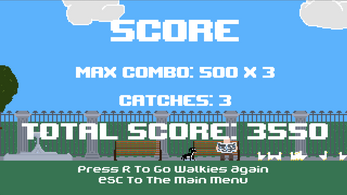 DOGFORCE is a #shufflejam game made over a few weeks, with this photo of a very special dog as the theme. 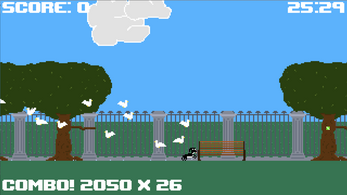 Use the arrow keys to run around. 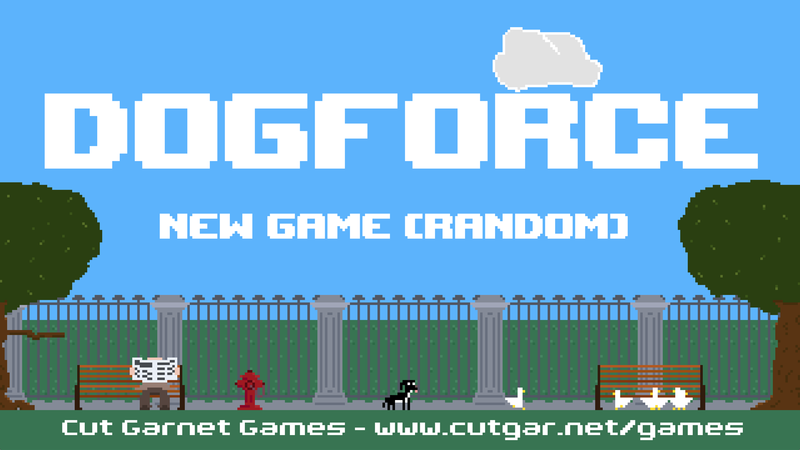 DOGFORCE is only a tiny game - a lot of the fun is in running around and finding out what you can do! 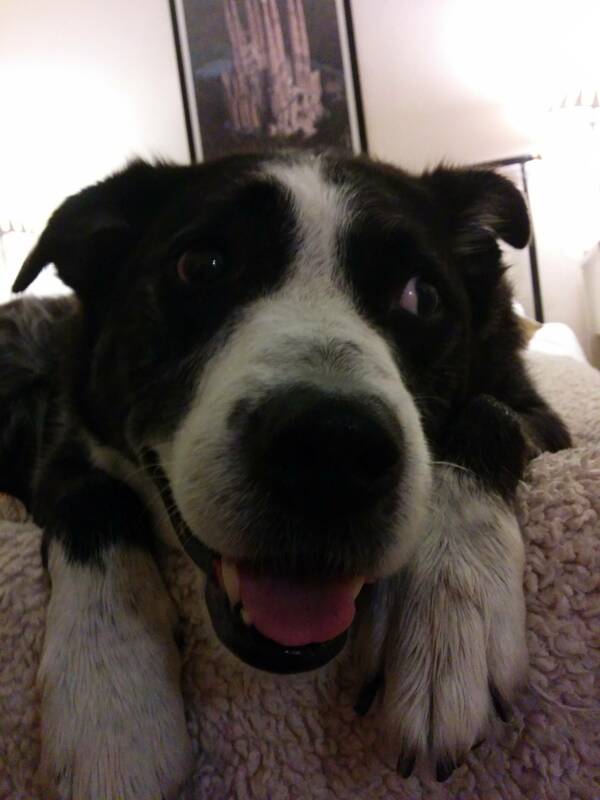 If you want some spoilers on the things Dog can do, you can ask me on Twitter. Thanks to Azalea Raad, David McClure, Michael Prescott and all the #shufflejam folks for their input into the game. Music is by Ozzed, amazing stuff which you can find here. Sound effects from FreeSound users lazymonk, skyko, esperri, kbnevel and martian. The font is Upheaval Pro - thanks to Brian Kent and Aleksandr Savenkov. Thanks also to the lovely testers, @cniangel, @thricedotted, @chongdashu, @anndraadunn and @dgrey0, and the Sets And Settings folk for helpful feedback too. 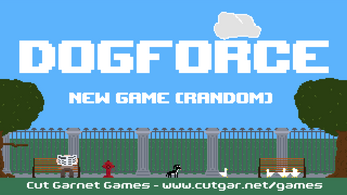 DOGFORCE will be public domain soon! I'm hoping to release all the code and image assets as a separate downloadable bundle. Keep an eye on this page, or follow @mtrc on Twitter, for updates. DOGFORCE should just work out of the box - click the .exe if you're on Windows, or the Mac .app if you download a Mac OS version. If you're on Linux, or the native versions don't work for whatever reason, try downloading the Flash version instead. It's not quite as smooth as the native versions, but it has fewer compatibility issues.